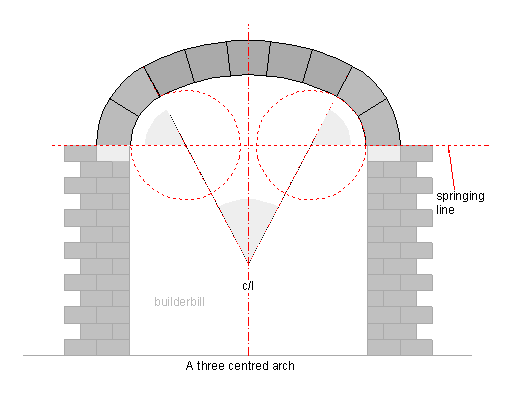 An arch based on two equal smaller arcs at the abutment-haunch area blending into a single larger radius arc arc at the crown. Also know as a Basket Handle or Anse De Panier. An arch based on the ellipse form. Used many times just for looks, but also where a wider clearance heights needed, these are good looking arches that are easy to set out. 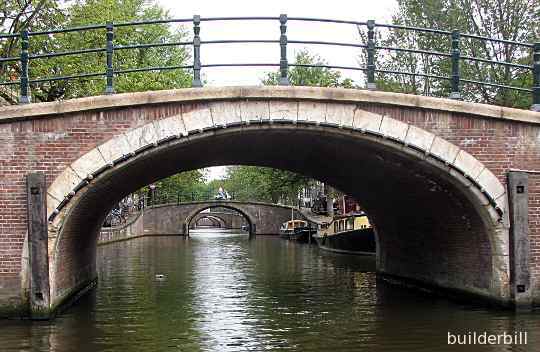 The arches seen here (there are four of them:-) on a canal in Amsterdam could quite possibly be either three centre or elliptical. One would have to have a very keen eye to tell the difference. I have used my CAD program to superimpose one on the other and I was quite surprised by the closeness of the results.